Hello, friends! I'm writing this post from my office window with the sun shining through and the smell of freshly-cut grass oozing in. It's finally Spring! This weather puts me in the best mood. Gone are the days of chunky scarves and puffy coats and here are the days of sunglasses and sandals - hurrah! 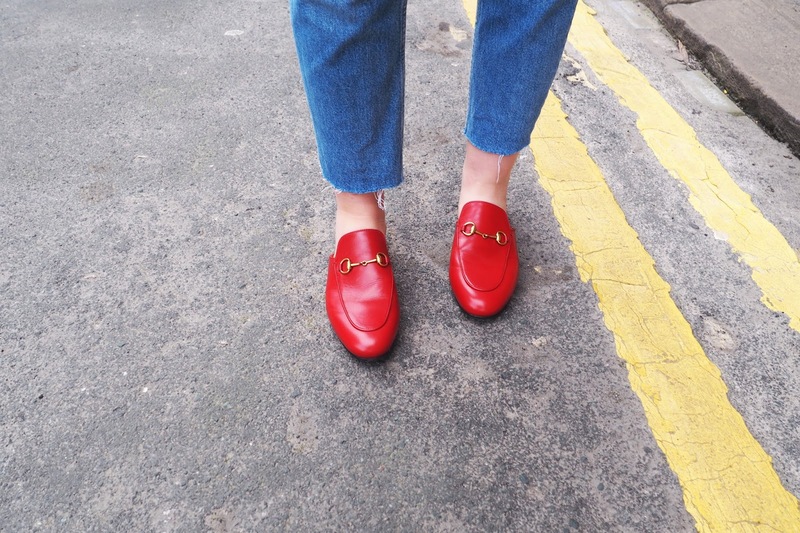 I am so excited to share this post with you, as it's the first time I wore new Gucci loafers outside of the house. They are by far the comfiest shoes I own (backless = no blisters), and they're in my favourite colour so I already know my cost-per-wear for these will be next to nothing! I'm excited to pair them down in Summer with super simple outfits - like an oversized white shirt dress and cross-body bag. The possibilities are endless - so much so that I'm already eyeing up the black versions, too! 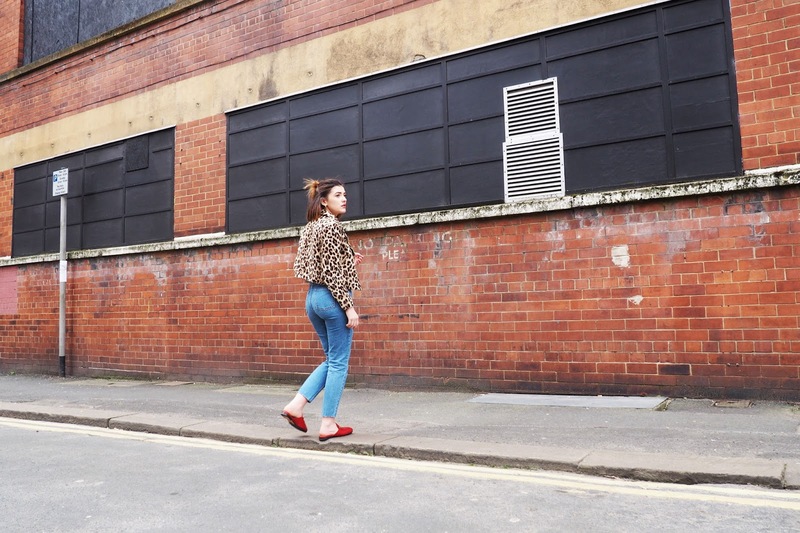 I've sure that I've mentioned on my blog before my love for leopard and red together - they just scream sass. 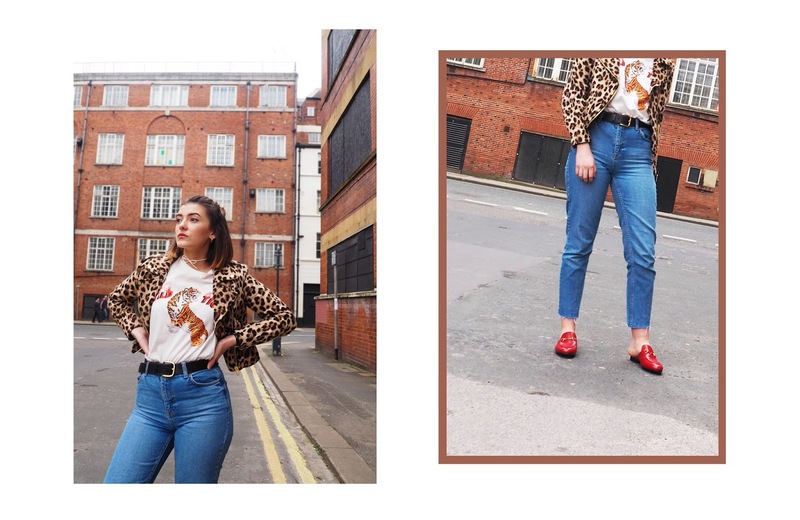 For a day-to-day look however I teamed the two with some simple denim jeans and the Mango tee that everybody and their mums have. (I've been dying to say that for so long, ha!) 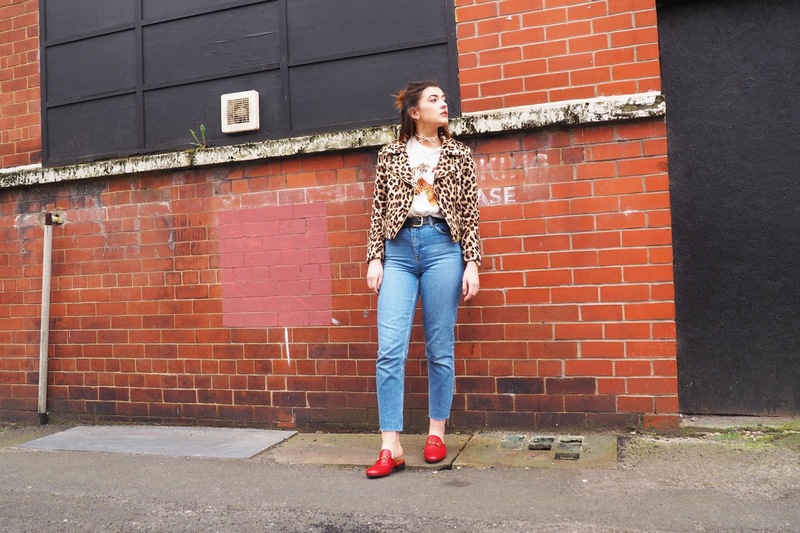 These jeans are in fact some Topshop Mom Jeans from yeeeeears ago, which I just cut the hem off and frayed a little myself. Tanya Burr did the same on her snapchat a few weeks back which made me do it to mine and they look so much better for it!